When Major Gryffth Hockaday is called to the front lines of the Civil War, his new bride is left to care for her husband’s three-hundred-acre farm and infant son. Placidia, a mere teenager herself living far from her family and completely unprepared to run a farm or raise a child, must endure the darkest days of the war on her own. By the time Major Hockaday returns two years later, Placidia is bound for jail, accused of having borne a child in his absence and murdering it. What really transpired in the two years he was away? A love story, a story of racial divide, and a story of the South as it fell in the war, The Second Mrs. Hockaday reveals how this generation—and the next—began to see their world anew. Susan Rivers was awarded the Julie Harris Playwriting Award for Overnight Lows and the New York Drama League Award for Understatements. She is also the recipient of two playwriting grants from the National Endowment for the Arts and has had short fiction published in the Santa Monica Review. In 2007 she earned an MFA in fiction writing from Queens University of Charlotte in North Carolina, where she was also awarded a Regional Artist Grant from the Arts and Sciences Council. She currently lives and writes in a small town in upstate South Carolina. 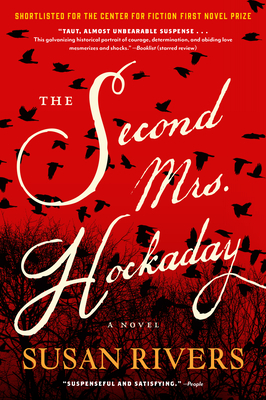 The Second Mrs. Hockaday is her first novel.